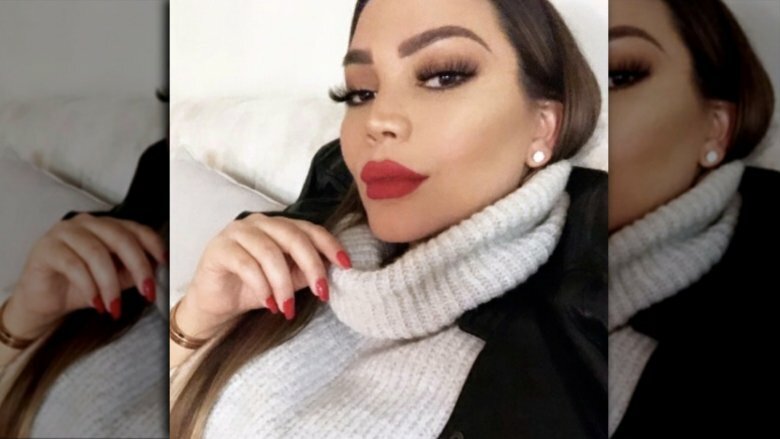 Ex-Shahs of Sunset star Jessica Parido shocked followers when she revealed that she'd secretly been pregnant and had given birth to a child. On Tuesday, April 16, 2019, Parido, 30, took to Instagram to share that she'd welcomed her first child into the world on Feb. 23. Posting a black-and-white photo featuring her baby bump and an emotional video taken during an ultrasound, during which she burst into tears after hearing her future son's heartbeat, Parido told her fans that her "little miracle Boy was born" months earlier. In a lengthy caption, Parido opened up about being told that she'd likely never have children when she was just 15 years old, after having undergone chemotherapy treatment for leukemia. "It was something I struggled with accepting for years," the former reality TV star wrote. "After 15 years and countless specialists I accepted the fact I would never have children of my own." However, she noted, "God had other plans for me." She told her Instagram followers that she was in "disbelief" when she learned she was pregnant, as she'd spent "half of [her] life" thinking she'd never experience pregnancy. "To say this came without struggle would be a lie," she continued. "The traditional family I've dreamed of my entire life is not something I have. The vision of love, marriage then baby I had wanted is gone." She also explained that she'd made the choice to keep her pregnancy private from fans so that she could "enjoy the time without the opinions and comments of others." Parido added that she'd even considered never sharing the news of her becoming a mother, but, obviously, she ultimately decided to make an announcement on social media. "IM A MOM," she wrote, "I have a son, a beautiful little miracle who I'll cherish the rest of my life and to not share this would be not sharing me." As noted by Page Six, the paternity of Parido's child remains unknown. Parido has also not yet shared her son's name at the time of this writing. Parido had previously been married to Mike Shouhed, with whom she'd appeared on Shahs of Sunset. The two separated in 2015 after a few months of marriage, following Parido's discovery that her husband had cheated on her before they'd wed (via Page Six). Parido and Shouhed's divorce was later finalized in 2017 (via E! News). 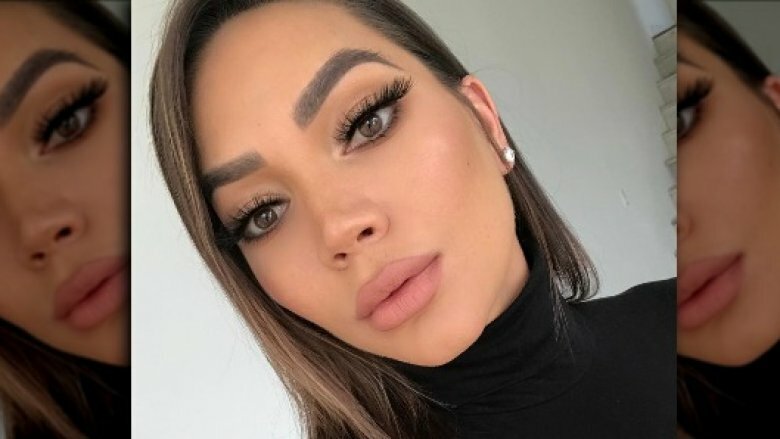 However, Shouhed apparently wishes nothing but the best for his ex-wife, if the comment he left on her pregnancy announcement Instagram post is any indication. "I'm so happy for you to get what you always wanted and feared you couldn't and couldn't, being a mom," he stated, as reported by Page Six. "I know in my heart and feel it in my soul that you will do an amazing job as a parent. You have a lot of love to share and wisdom from life to pass along to him. May God continue to bless the both of you with endless health and happiness." Shouhed also appeared to tweet about Parido becoming a mother to his fans, addressing their history together. "She is a good woman, I am a good man…we both made some bad decisions but ended up exactly where the Universe intended us to be!" he tweeted out. "We both couldn't be happier #Blessed." Besides Shouhed, who claims Parido broke the news of her pregnancy to him when she was three or four months along (via Page Six), Parido's other former Shahs of Sunset co-stars have congratulated her on her growing family. Golnesa "GG" Gharachedaghi commented on Parido's surprising post, as reported by People, "Yay! Congratulations baby girl! I'm so happy for you and your journey," she wrote. "You deserve all of this happiness!" In another comment, Lilly Ghalichi wrote, "Best mom." Jessica Parido had previously opened up about her battle with leukemia during an interview with People in 2015. "It was a complete and utter shock," she said of being diagnosed with the cancer at age 14. Fortunately, she was able to beat the cancer with a bone marrow transplant from her then-12-year-old sister. "I literally owe her my life," Parido stated. Congratulations to Jessica Parido on the birth of her first child! We can't wait to learn more details about her journey as a mother.